More than 150 architects are calling for an independent review into the governance of Scottish architecture's professional body, the RIAS, which is being accused of covering up details of its internal finances. The architects have signed an open letter sent to the Royal Incorporation of Architects in Scotland (RIAS) by a group calling itself A New Chapter. 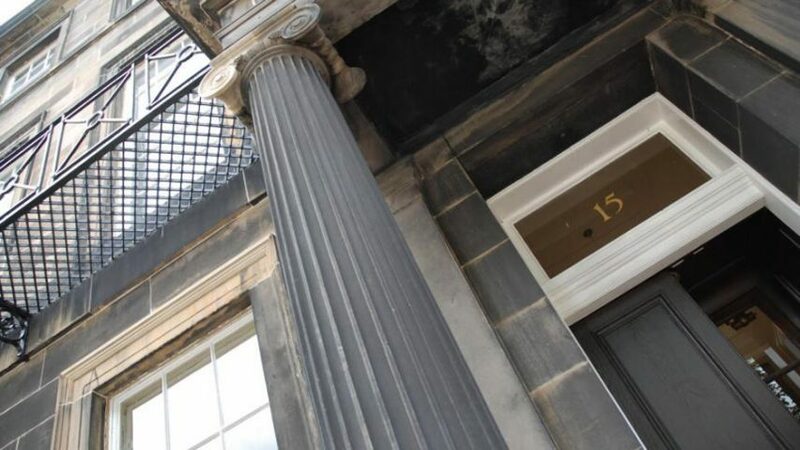 The letter, published on 9 November 2017, raised concerns about "a lack of effectiveness, poor governance and insufficient accountability in Scottish architecture's professional body", which was founded in 1916 and has its headquarters in Edinburgh's Rutland Square. RIAS members and fellows who signed the open letter include Jude Barber, Malcolm Fraser, Ben Addy and Graeme Massie. Malcolm Fraser told Dezeen that there is "a blizzard of troubles facing Scottish architects" that the RIAS is failing to address or take a leading role in, ranging from the housing crisis to inclusivity, sustainability and wellbeing. Fraser claimed that he and his peers are unhappy with a perceived lack of financial accountability and transparency within the RIAS. The group has asked the organisation to release details of staff pay and benefits that may have contributed to overspending outlined in its summer 2017 accounts. "This open letter is the result of general conversations amongst dissatisfied architects in Scotland," Fraser said, "and it starts with the wider necessity to have a professional body that we feel represents our interests with more vigour and openness." "We can't find out what our money is being spent on," he continued. "We don't know what people are being paid within the organisation. Legal norms state that council as trustees should be in charge of that but they can't find out so we need to know what's going on." The RIAS said it has initiated "a full review of both the governance and the future direction of the incorporation", but A New Chapter is calling for a separate independent review. "As government regulation and best practice makes transparency and accountability essential across the charities sector, the RIAS appears to have become increasingly secretive and autocratic," said the letter published on A New Chapter's dedicated website. Other reforms called for by A New Chapter include the right for members to elect the RIAS president, rather than the holder of this position being decided by a panel of existing council members. It also wants members to be invited to contribute to a five-year strategy that the RIAS has stated is currently being drafted. It feels the organisation is failing in its duty to further the reputation of architecture and architects in Scotland through public statements. In a letter responding to these criticisms, RIAS president Stewart Henderson, who declined to speak to Dezeen about the matter, said that RIAS members had the opportunity to review the Strategy Document through their local Chapters. He also stated that there are "legal reasons" why some of the findings from the investigations conducted into the RIAS's corporate strategy could not be shared with its members. A New Chapter said that an independent review is the only way to achieve satisfactory levels of clarity and transparency. "We're told there are reviews and that they've reported but we don't know what they've reported and we've been told they can't be shared so we have to question why not," Fraser added. "We need somebody independent to make judgement on behalf of the members in general as opposed to the small group that seem currently to be running the RIAS." Fraser suggested that the RIAS is not currently fit for purpose and claimed that reform is urgently needed. "It's essentially a Victorian organisation and it really should have been reformed long before now," he said. "We'd like to elect a president, we'd like to see the separation of executives in financial roles within the organisation, we'd like a more effective council that's more accountable for driving the organisation forward and we'd like to see more people talking about architecture on behalf of the RIAS." Jude Barber was among several architects to add personal comments in a document shared with Dezeen. She claimed that there are still "deep-rooted cultural problems running through the RIAS", and suggested that A New Chapter will continue to push for change. "Those that have united as A New Chapter have been fortunate to take part in some early, impassioned and ambitious conversations to explore what a membership organisation in the 21st century might look like, who it should represent, what it might do and how it should behave," she said. "These discussions sit in stark contrast to the closed doors, secrecy and patriarchy within Rutland Square. It has been a pleasure to work together in such an immediate and collegiate way over the past few weeks and we look forward to continued discussion, new opportunities and the positive impact of A New Chapter." "What might the future of Scottish architecture be in an independent state?" Photograph of the RIAS headquarters is by Jon Barnes.